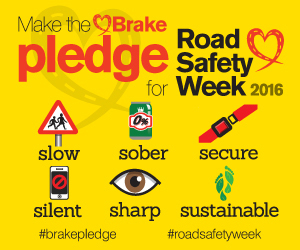 We are taking part in the UK’s biggest road safety event, Road Safety Week (21-27 November), coordinated by Brake, the road safety charity. This year, thousands of organisations, schools and community groups are backing the Make the Brake Pledge campaign, helping to spread awareness about six simple things to save lives and the planet. As part of the campaign, We will be learning about road safety awareness in this weeks Beaver meeting. To mark the start of Road Safety Week, Brake will be releasing the results of research revealing what people perceive to be the biggest threats on Britain’s roads, and what dangerous habits they admit to having themselves. Find out more in the Road Safety Week newsroom from Monday 21 November, or email news@brake.org.uk to request an embargoed press release for your region the week before. Road Safety Week is the UK’s flagship event to promote safer road use, coordinated annually by the charity Brake and involving thousands of schools, communities and organisations across the country. Road Safety Week 2016 takes place 21-27 November, with support from the Department for Transport and sponsors Specsavers and Aviva.